Woo. Here’s a nice and long overdue surprise. Verizon has quietly rolled out the feature called HD Calling and the iPhone 6 is one of the devices capable of using this feature. Finally. Go to settings, Cellular, and drill down. Check off Voice & Data (Data Only is probably checked). 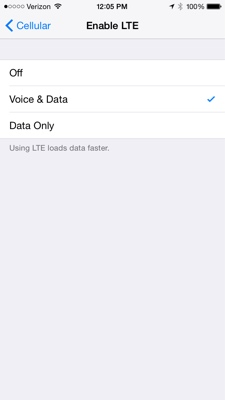 So if you’re using LTE, you now should have the same dual capabilities carriers like AT&T have had for years. The voice quality is like being in the same room. And I can browse the web at the same time. My Connected Home now includes an iCreation i700/i700e Cordless with Link to Cell System and I couldn’t be happier! 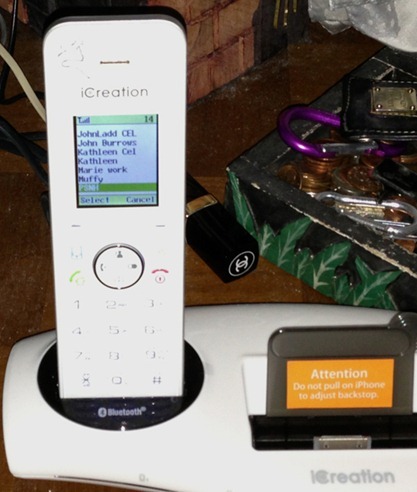 When I realized my old Uniden 5.8GHz cordless phone system was slowly dying (and the proprietary, even generic replacement batteries for it were $16 each) I started investigating what was going on within the world of cordless phone systems. It became clear to me that what I really needed (or wanted) was a way to use my cell phone from all the extensions in my three-story townhouse style condo as well as my landline. Cordless telephone systems have evolved and changed greatly since I bought my Uniden system around 8 years ago. It was time to move to DECT. I did a lot of online research. The major players like Panasonic, Vtech, AT&T, etc. all seemed to have DECT systems that supported cell phones using some kind of link to cell. The nomenclature for this feature varies from vendor to vendor. Reading through the various reviews on multiple websites and checking some of the forums I realize that some people were having issues linking their cell phones using the systems that were there. Since I have an iPhone, I specifically looked for reviews and forums that mentioned iPhone. What I really wanted to do was be able to link my iPhone to a new cordless system and be able to use the contacts already stored on my iPhone for an address book on the cordless system. 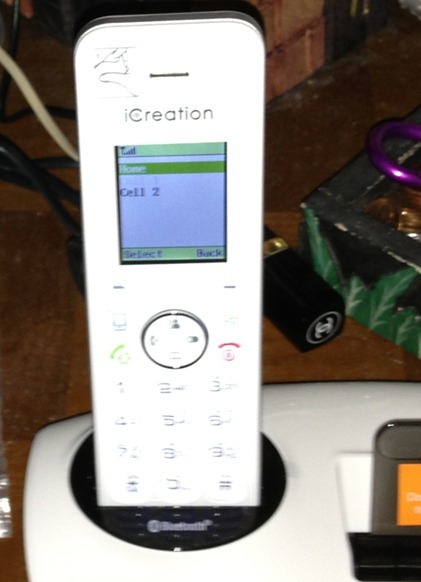 Again I spent a lot of time looking and reading and finally decided on the iCreation i700 cordless DECT system. While there weren’t many reviews at all about this phone, the few I found were extremely positive. One of the things that I found particularly reassuring was that this particular system carried the made for iPhone logo designation. I also noticed was that the Sharper Image was selling this particular system (although at an obscenely higher price than anyone else). Usually, if Sharper Image carries a gadget, that gadget works as advertised (in my experience anyway). This is not an inexpensive system and it’s probably 80% higher in cost than the newest top of the line cordless DECT systems with comparable features from folks like Panasonic etc. that support this link to cell phone technology. The i700 is also not in abundant supply throughout the United States. The official US distributor/vendor appears to be clearsounds.com but I found several companies selling the system at a much lower price and placed my order through Amazon. This is the first time that I purchased an electronic gadget without actually trying it out in the store or seeing it in a friend home. The i700 proved to be nearly everything I wanted and expected. It does not have a built in answering system for landline phones, but that was not on my list of requirements, since my phone service through Comcast provides cloud based voice messages, etc. And if I decide to give up my landline (a definite possibility at some point) this is also not an issue. 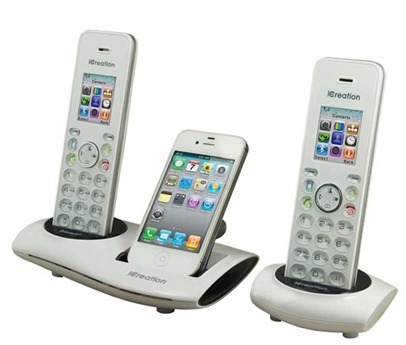 It supports up to 5 extension handsets. I had 6 with my old Uniden system, but it was probably overkill to have a phone in the bathroom. The system supports pairing two different iPhones (well, I only have one and pairing it with the i700 was easy) and in addition to a local contacts/phone list that you can manually create, supports downloading contact from your iPhone via Bluetooth. This worked exactly as advertised (and was incentive to clean up and delete/edit a ton of contacts that were gathering dust). These appear on all registered handsets. Registering additional handsets is a breeze. When you create a list of local contacts, it needs to be done on each handset, fortunately a task that only needs to be done once to get started (and adding anything new to each handset as time goes on). My old Uniden system had a feature to copy the phonebook to other registered handsets, which would have been easier, but this is one of the few negatives for me. The handsets allow me to take or place calls from either my landline or my cellular line. There are logs for missed/answer calls, etc. 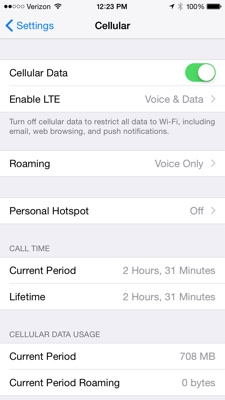 and visual indicators when you miss a call or have a message waiting (landline) if your service supports this. I found the menus very intuitive and easy to navigate. The buttons are nice and large, and oh my, the call quality clarity is superb. I use the speakerphone quite a bit and the sound was crisp and clear. 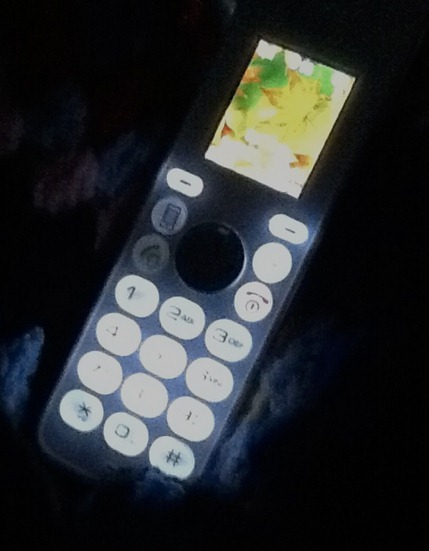 When you pick up the phone at night in a dark room, the lit buttons and display are incredibly readable. Am I concerned about the new iPhone 5 connector and the old connector style charging dock in the base unit? Nope. 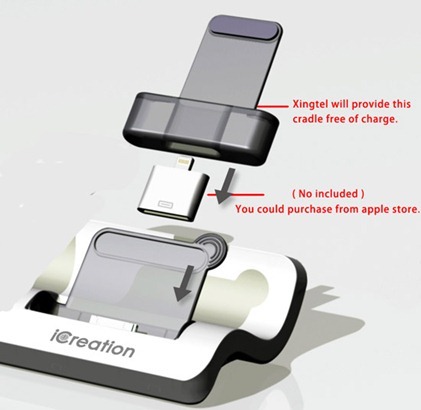 I wrote the manufacturer who replied within a few hours that they are producing a cradle adapter (but that I would need to purchase the 30 pin to Lightning adapter from Apple) and that they would arrange for the US distributor to send me one next month. They even sent an image showing what it would look like. If you have ever written a Consumer Electronics manufacturer blindly without having a pre-existing contact person, you know that this is not normal behavior. I’ve had several emails back and forth. I like these guys and I like their product. Am I concerned about having something OTHER than an iPhone down the road? Nope. I suspect that I would be able to pair any phone which support Bluetooth technology (but would not be able to download the phones contact list). Anyway, I’m happy with my system, and that’s what counts for me. I want to start this off by thanking the folks at CodeTwo for an absolutely elegant solution to the overly complex disaster area in the making for users of Apple’s iCloud solution to sync between iDevices and Microsoft Outlook. My tale of “Fear and Loathing in Sync City” follows. I had been using MobileMe with Outlook 2010 for over a year. While Contacts synced between MobileMe and my PST file, MobileMe created its own Calendar, necessitating a kludgy manual process of copying items between thee Calendar in my PST file and the cloud based MobileMe calendar. While you can use MobileMe on its own as your Outlook Calendar, full functionality in Outlook (Outlook Today) other integration is missing. So I religiously copied calendar items back and forth. It was a real mess accepting appointments/meetings since after copying to MobileMe from Outlook, the originator received another confusing acceptance (which was non suppressible). Apple had been sending gloom and doom reminders about the eminent demise of MobileMe and I was dreading the move from MobileMe to iCloud for a lot of reasons, but was particularly unhappy about the addition of another set of Contacts in a Cloud based folder and losing the ability to sync Contacts with my local PST file. I couldn’t accept another set of manual work arounds to keep things in sync so I procrastinated and ignored the invitations to move to iCloud. Diane has a stellar reputation for only highlighting tools and procedures that work, so I didn’t feel the need to research the add-in or the company behind it, CodeTwo, aggressively. Upon visiting CodeTwo’s web site, it was obvious that they were a class act with a well designed site that included great documentation, videos, descriptions, and support links. I really wondered if I was dreaming and if a simple elegant tool could solve the potential horror of Apple’s flawed implementation. Realizing that sooner or later I would have to move from MobileMe (the devil I knew) to iCloud (the devil I didn’t yet know), I decided sooner rather than later was the best approach (hopeful that I would beat the rush at the end of June when everyone left on MobileMe would apparently be forced to migrate). I first made several backups of my PST files and stored them in various places. 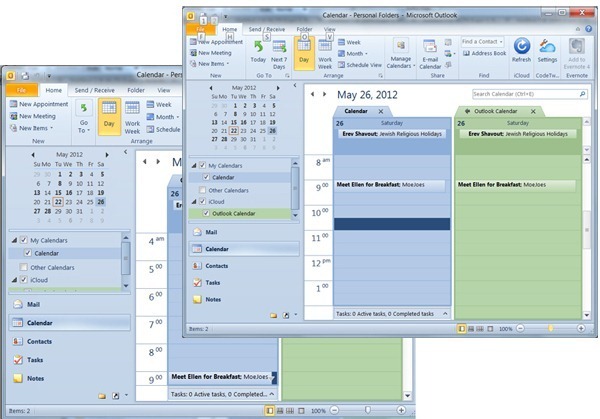 Then I exported my Calendar, Contacts, Notes, etc. to individual PST files and made copies of those in various places. That might have been overkill, but it made me feel better. Surprisingly, the actual migration from MobileMe to iCloud was relatively painless. I did hold my breath while I watched Contacts disappear from my iPad (but they reappeared rapidly when the migration was completed). Migration was uneventful on my iPhone as well. I slowly exhaled as I started up Outlook. I saw the MobileMe calendar disappear and I saw the new iCloud calendar appear. And I verified I had my original Contacts and the new iCloud based contacts. I then installed CodeTwo’s iCloud Sync. Configuration was as simple as documented and I set up two way sync. I ran a couple of tests from my iPad, iPhone and from Outlook and was (and still am) amazed at how seamless this sync up is. 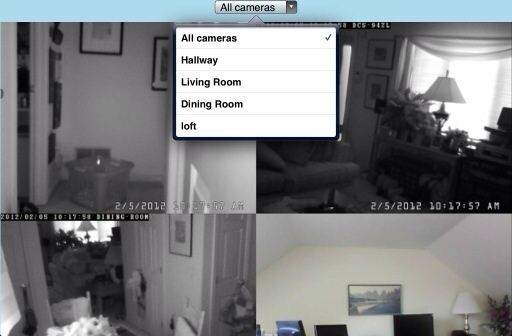 CodeTwo has a large number of screen shots and videos on their site, and I encourage readers to take a look. The between an entry in a local PST file and iCloud is in real time. I literally finished typing Meet Ellen for Breakfast in the local PST based Calendar when iCloud Sync copied it to the Outlook Calendar stored in iCloud. I immediately checked my iPad and iPhone and the new appointment appeared there as well. CodeTwo documents that sync between Outlook and iCloud on devices depends on connection speed, etc., but in my experience, these devices are syncing nearly in real time. I’m impressed. And I’m happy. I’ve got two more Windows 7 OS based computers to add to the mix and I’ll wait a while longer before attacking that. For now, I’ve got my main Windows PC and iCloud sync under my control, thanks to CodeTwo’s iCloud Sync. I really like that Apple has changed the notification model. It kinda/sorta works in this first beta. Facebook and Twitter seem to be real slow in even native notifications, which may be part of the problem. I have seen mail on the unified list a few times. 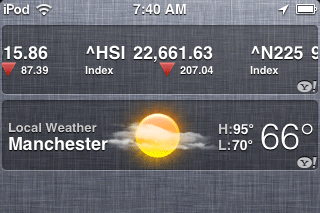 I wish the iPad had built in weather and stocks apps like the smaller iPhone/iPod, as that would be really handy. Hopefully there will be abundant updates from third party vendors that will enable visibility in the new unified app.